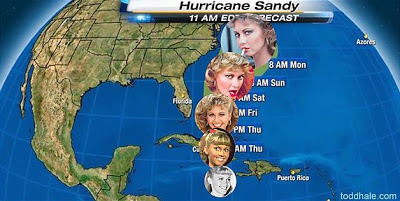 Hurricane Sandy or Frankenstorm, has made its impact on the New York theater scene. Following the shut down of service of New York public transportation, Broadway and Off Broadway shows have announced they too will shut down. Sunday evening and Monday performances have been cancelled due to the impending storm. Please be safe and stay tuned to your local news reports for the latest on Sandy.